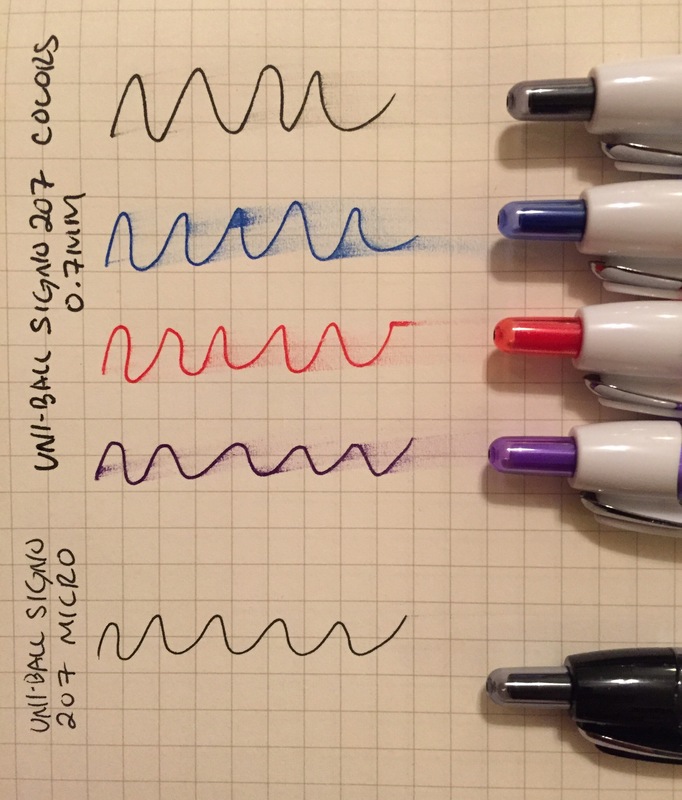 This uni-ball Signo 207 color set is best characterized as utilitarian, meant for taking notes but probably not for drawing pictures. 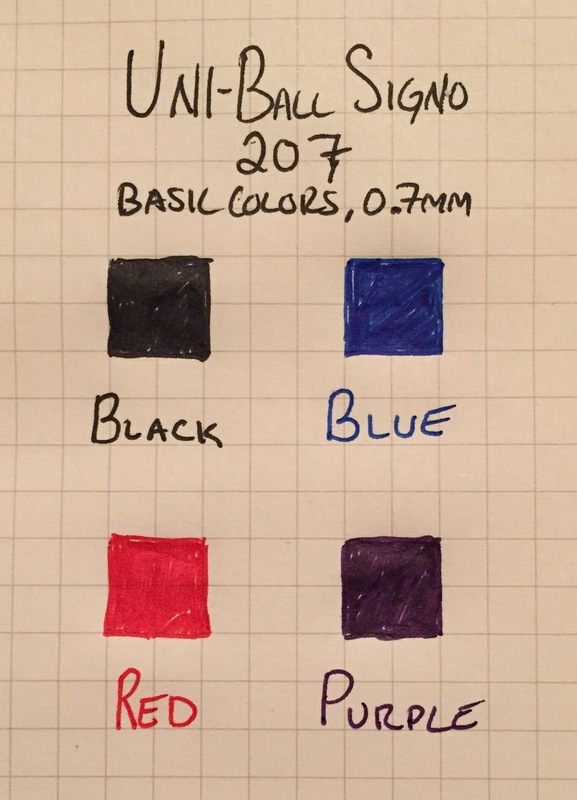 Along with black, the set includes three basic colors: a blue and purple, both of which have a fairly standard dark shade, and a red, which is somewhat brighter. They are comfortable to hold and don’t seem to skip or bleed, but they still don’t quite live up to the high standard set by the micro (0.5mm) version of the Signo 207. While this color set has reliability and comfort, the Signo 207 micro stood out for its professional look and its ability to avoid smearing. By replacing the black grip and silver accents with cheap-looking rubber and white plastic, the professional look is mostly gone. And the smearing is among the worst I’ve seen, especially the blue ink pen. 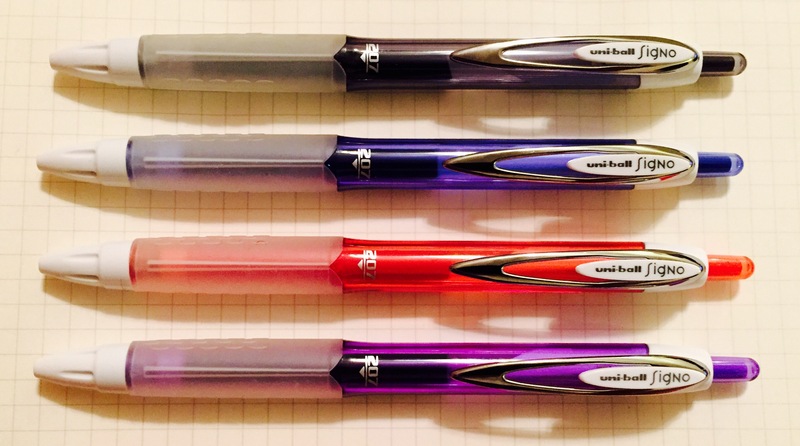 This Signo 207 color set is not an outright bad set of pens. They’re mostly a disappointment given how much I like the Signo 207 micro. 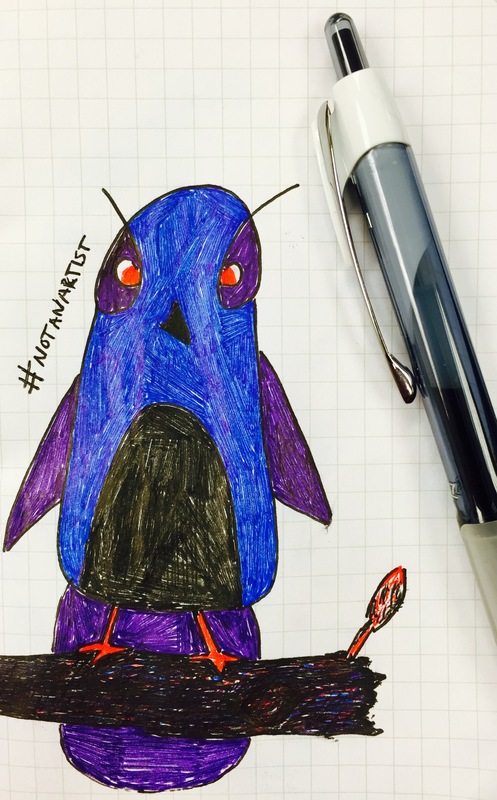 Still, a color set of Sharpie Pens or Pilot G-2s are better options, no matter if you want them for work or art.